Until now, there was no requirement to prove that treated waters were compliant with the rules. Only a ballast water treatment plant's electrical and automation systems and physical parameters were checked during the commissioning process. Biological testing of treated water was not a requirement. The 73rd session of the IMO's Marine Environment Protection Committee, however, agreed that indicative testing methods to analyze all organism size factions defined in the Ballast Water Management Convention's D2 regulation and listed in Circular BWM.2/Circ.42/Rev1 should be used to demonstrate that the treatment system's biological processes are working properly. Importantly, it was agreed that all the three size classes of organisms need to be measured and assessed. This is because Zooplankton - one of the most difficult organisms to treat during the type approval process - can remain viable in sediments where there is little light, while Phytoplankton is more easily treated. LuminUltra CEO Pat Whalen said: "We fully support this decision by the committee. This new guidance means that a ballast water treatment system can no longer be certified for operation unless compliance has been validated as part of the commissioning process, which is good news for shipowners and the environment. Problems can occur during the BWTS commissioning phase, including damage to important components or incorrect installation of the system. This can result in the system not working as it should, resulting in a lack of confidence that it will be compliant with the regulations. 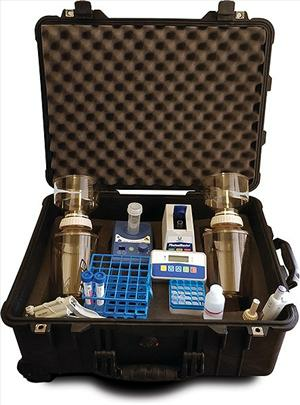 Testing during the time of commissioning validates the installation to deliver confidence to shipowners and operators that their type-approved ballast water treatment systems are working properly." Carine Magdo, Business Development Manager, Ballast Water Monitoring Solutions at LuminUltra, said: "Testing system efficiency as part of the commissioning/certification process means that ships will no longer be able to put to sea with an incompliant system." Ms Magdo added: "Shipowner associations have long supported use of indicative methods for validating the shipboard commissioning of ballast water treatment systems. "B-QUA is the only single monitoring and verification test that can measure all organism size groups required by D2 standards with the same method. The MEPC73 decision places our award-winning B-QUA test kit in pole position for meeting the new requirement."